REWIRING THE SOUL with Gabriella Kortsch, Ph.D.: What is the Sound of Your Voice Telling You? When your mother soothed you with her soft murmurs after you skinned your knee, or were in bed with a temperature, or when your coach encouraged you with his cheers as you were nearing the finish line in the inter-collegiate competitions, or when your college professor sarcastically berated you for not having completed your history essay on time, or when your partner screamed at you irately for flirting with that riveting lawyer at the cocktail party last night, they all used their voice in very specific ways. Due to those sounds, you reacted in ways that were consonant in some fashion, with those sounds. You were soothed, you were encouraged, your felt guilty, etc. In all instances, just as in the ones cited in the first paragraph of today's blog, you are influenced by the tone of voice, but in this case it is your own voice, as opposed to the voice of another person. 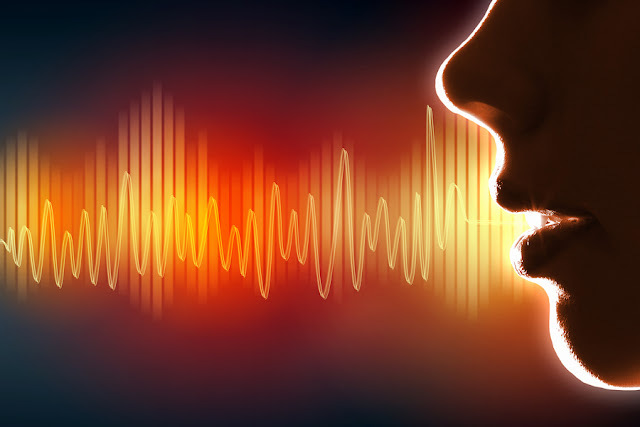 Your very cells are influenced by the sound of your voice (if you doubt this, think of how your adrenaline shoots up if someone shouts in your ear unexpectedly ... your cells have reacted to the sound). Your body, your psyche, and your spirit are all influenced by the sound of your own voice. Therefore it is very important that you start listening - really listening - to the way you are speaking. It is not only the words that you use that influence you, but also the tone of your voice. I'm not advocating that you pretend to yourself with your own words and the sound of your own voice anything that is not true, but I am advocating that you take great conscious care in how you speak and what you say. Your own influence on yourself in this regard, is perhaps underrated (assuming people are aware of it at all) and therefore the goal of this post is to encourage you to begin to pay attention. You have such enormous influence over yourself, in so many ways, if only you will begin to observe it.